At a distance of 217 km from Chennai, 189 km from Kanchipuram, 43 km Cuddalore, 66 km from Pondicherry, 43 km Mayiladuthurai, 85 km from Nagapattinam, 303 km from Madurai and 173 km from Trichy, Chidambaram is a pilgrimage town in Cuddalore district in the state of Tamil Nadu. 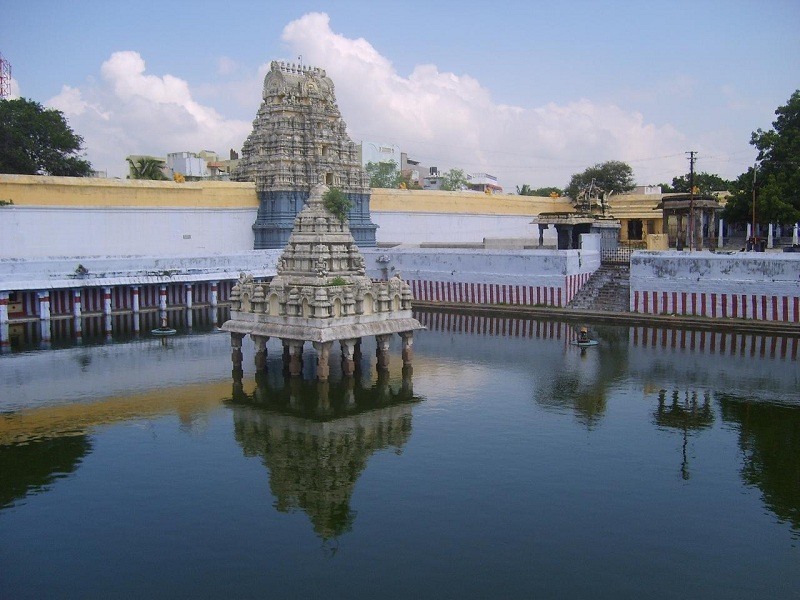 Well known for Nataraja Temple, Chidambaram is one of the most ancient and most celebrated shrines in South India. Chidambaram is also known as Thillai. 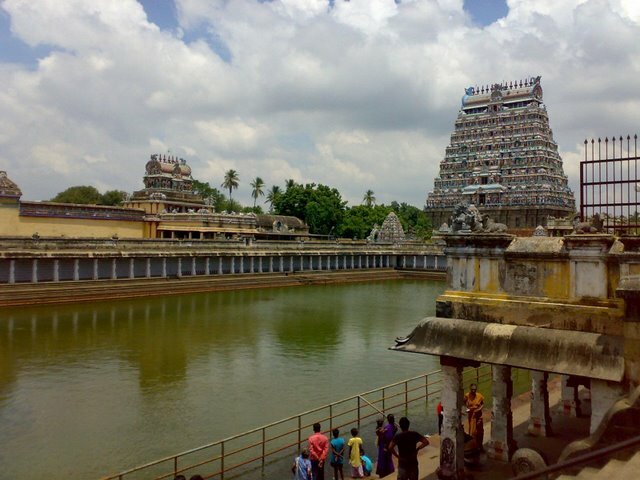 The name Chidambaram comes from the Tamil word Chitrambalam which means the small hall or stage of wisdom. According to legend, it was once a forest of thillai, a mangrove species of trees. There was once a small shrine on the banks of a tank. The saints…..
At a distance of 75 km from Chennai, 68 km from Vellore, 108 km from Tirupati & 127 km from Pondicherry, Kanchipuram or Kanchi is one of the most famous pilgrimage sites in South India. 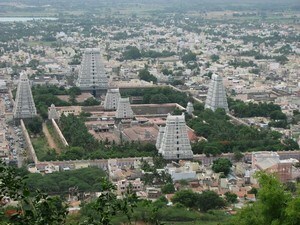 It is a temple town and the headquarters of Kanchipuram district. 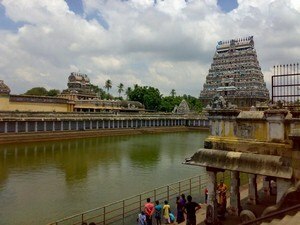 Kanchipuram is one of the most popular weekend getaways from Chennai and one of the major pilgrimage sites in Tamilnadu. Kanchipuram has rich history and it’s one of the oldest cities in India. 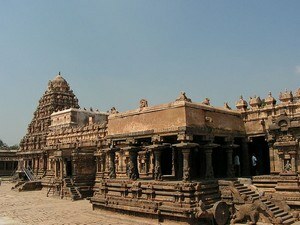 The temples of Kanchipuram are known for their grandeur and great architecture. 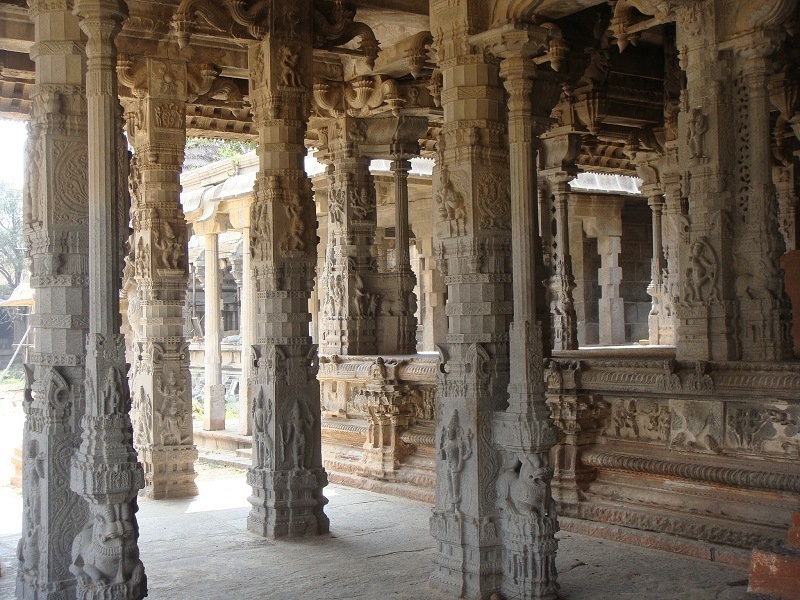 The architecture of Kanchi monuments were trendsetting with great sculpture work and unique style and became a benchmark for South Indian architecture. 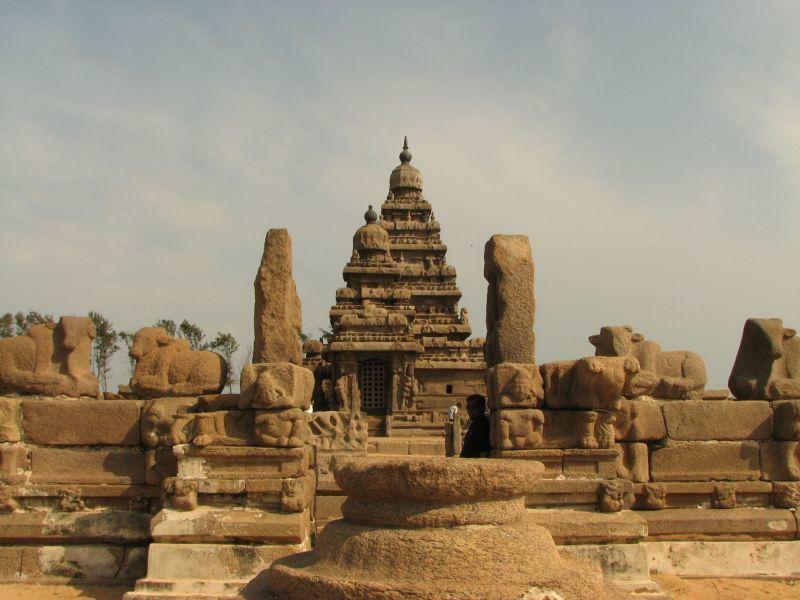 At a distance of 57 km from Chennai, 65 km from Kanchipuram, 96 km from Pondicherry, 420 km from Madurai and 290 km from Trichy, Mahabalipuram (also called Mamallapuram) is situated in Kanchipuram district in the state of Tamil Nadu. It is famous for its shore temples built in 7th century. Mahabalipuram is one of the must visit weekend getaways from Chennai for one day trip and also a major historical / heritage site in Tamilnadu. 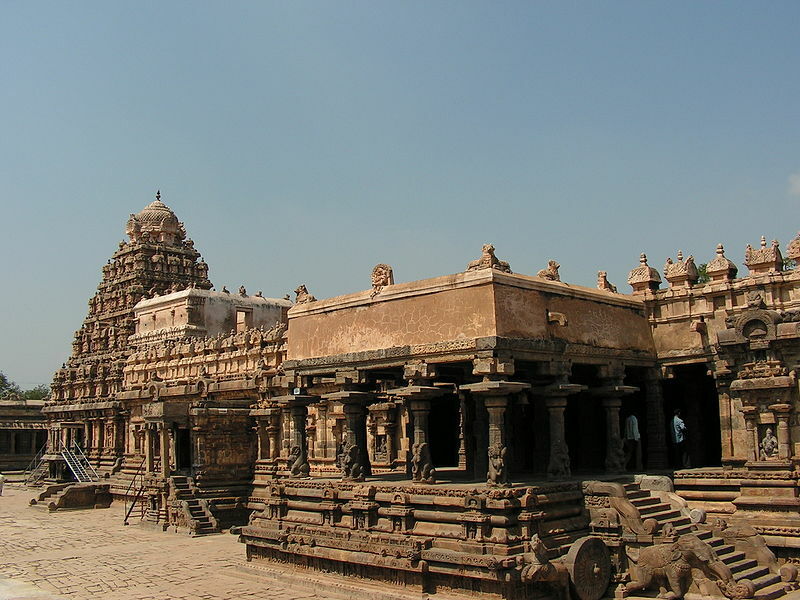 This UNESCO World Heritage Site was the second capital of the Pallava kings of Kanchipuram. 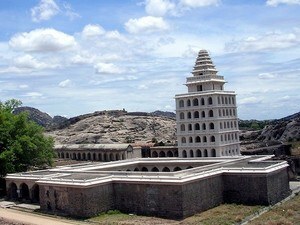 It is an ancient historic town and was a bustling seaport during Pallava kings in 7th Century AD. According to the legend, it has been named after the demon king…..
At a distance of 464 km from Chennai, 136 km from Trichy, 169 km from Thanjavur, 170 km from Rameswaram, 114 km from Kodaikanal & 209 km from Coimbatore, Madurai is the third largest city in Tamilnadu and one of the most famous centers of pilgrimage in India and also the prime site of heritage in Tamilnadu. 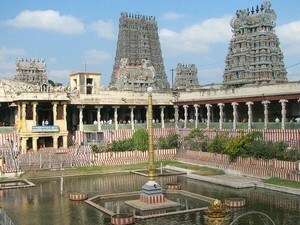 The city is very well known for Madurai Meenakshi Temple. 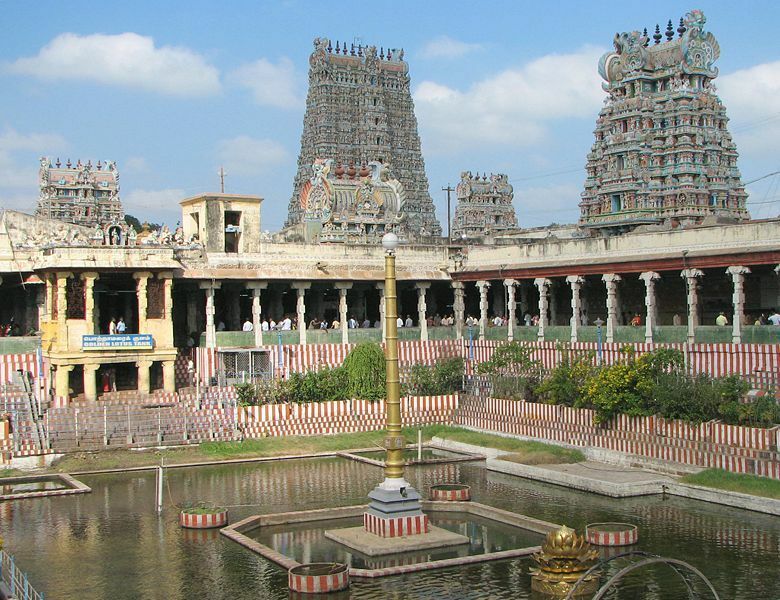 Situated on the banks of the River Vaigai, Madurai is also referred to as Athens of the East and Temple Town. Madhurai is the oldest continually inhabited city in the Indian peninsula, with a history dating all the way back to the Sangam period of the pre-Christian era. It has been inhabited since at least the 3rd century….. Situated on the banks of River Cauvery, Thanjavur has a rich historical heritage and is a prism of ancient as well as the modern south Indian civilizations. The city was once the stronghold of the historic Cholas and at one time was also the capital…..
At a distance of 142 km from Chennai, 70 km from Kanchipuram and 106 km from Tirupati, Vellore is a popular and one of the oldest cities of South India. It is the administrative headquarters of Vellore district in Tamil Nadu situated on the banks of Palar River. 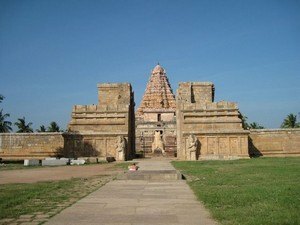 Vellore along with Sripuram is among popular weekend getaways from Chennai for a 2 day tour and it is a major historical site in Tamilnadu. Vellore is popularly known as the Fort City of Tamil Nadu. Now a very calm and understated place, it was once a battleground and has seen many wars. The name Vellore also means a City of Spears. 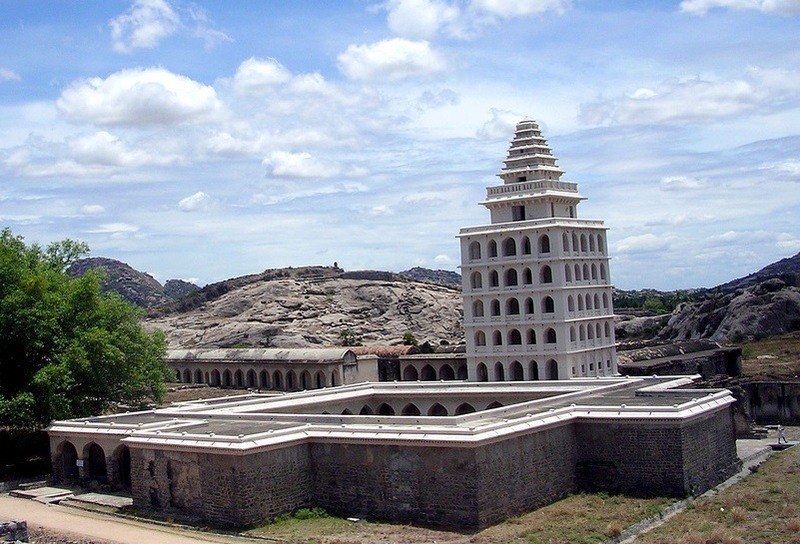 Vellore has an enriching legacy reflecting the early Dravidian culture. It has been ruled by…..
At a distance of 42 km Chidambaram, 76 km from Thanjavur, 110 km from Trichy & 268 km from Chennai, Sri Brihadeeswara Temple is situated at Gangaikonda Cholapuram. 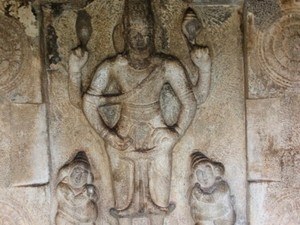 Gangaikonda Cholapuram was the capital of Cholas. It was built by Rajendra Chola I, the son and successor of Rajaraja Chola, who conquered a large area in South India at the beginning of the 11th century. It occupies an important place in the history of India as the capital of the Cholas from about 1025 CE for about 250 years. This temple is part of the UNESCO World Heritage Site ‘Great Living Chola Temples’. Rajendra Chola I has established this temple after his great victories in Northern India. He was originally called….. Built within an area of 25 acres, this temple was constructed by Vijayanagara kings between 16th and the 17th centuries. 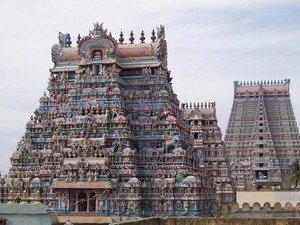 This temple is famous for its huge & massive gopurams built on four sides of the temple. The Rajagopuram on East Gateway is 217 feet high with 11 storeys. The base measure 135 feet by 98 feet. This tower was built by King Krishna…..
At a distance of 35 Kms from Kanyakumari, 53 Kms from Trivandrum & 700 Kms from Chennai (situated on Trivandrum – Kanyakumari road), Padmanabhapuram is an ancient historical town surrounded by a fort with an area of 187 acres. 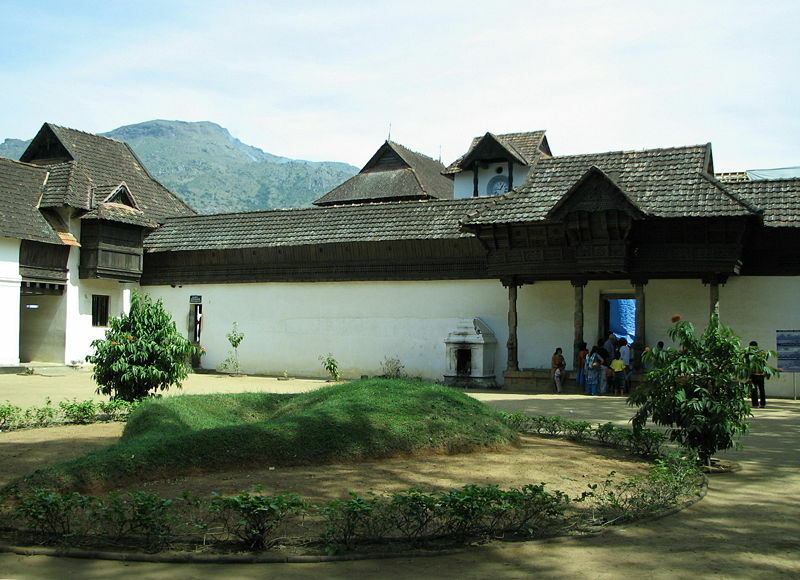 The ancient capital of Travancore might be constructed before AD 1601. The palace with an area of seven acres, is situated in the very centre on the Padmanabhapuram Fort, amidst hills, dales and rivers. The fort which was built with mud originally was dismantled and reconstructed with granite by Maharaja Marthanda Varma. The height of the walls varies from 15 ft to 24 ft according to the inclination of the ground. Entry Fee Rs 25 for Adult & Rs…..
At a distance of 34 Kms from Thanjavur & 284 Kms from Chennai, Darasuram, a small town 8 Kms away from Kumbakonam is known for the Airavathesvara Temple built by Rajaraja Chola II in the 12th century CE. 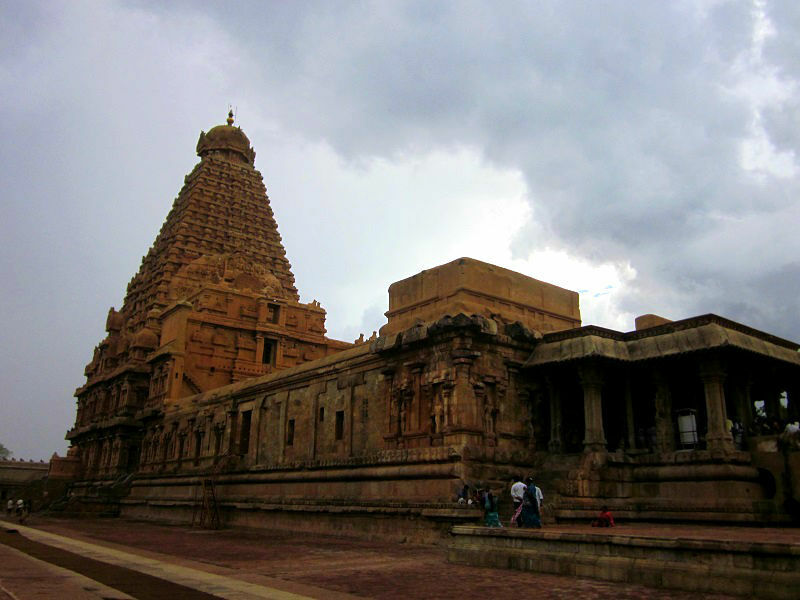 This temple is part of the UNESCO World Heritage Site ‘Great Living Chola Temples’. This temple is a storehouse of art and architecture. The vimana is 85 feet high. 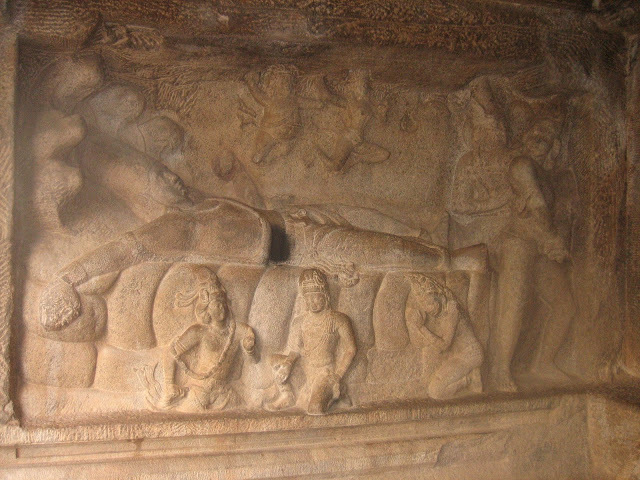 The front mandapam itself is in the form of a huge chariot drawn by horses. The temple has some exquisite stone carvings. The main deity’s consort Periya Nayaki Amman temple is situated adjacent to Airavateshwarar temple. The legend goes to show that Airavata, the white elephant of Indra, worshipped Lord Siva in…..
At a distance of 1 km from Thirumalapuram Bus Stop, 24 km Tenkasi and 62 km from Tirunelveli, The rock cut cave temples are situated on the hill of Thirumalapuram also known as Varanasimalai in Sankarankovil Taluk of Thirunelveli District. 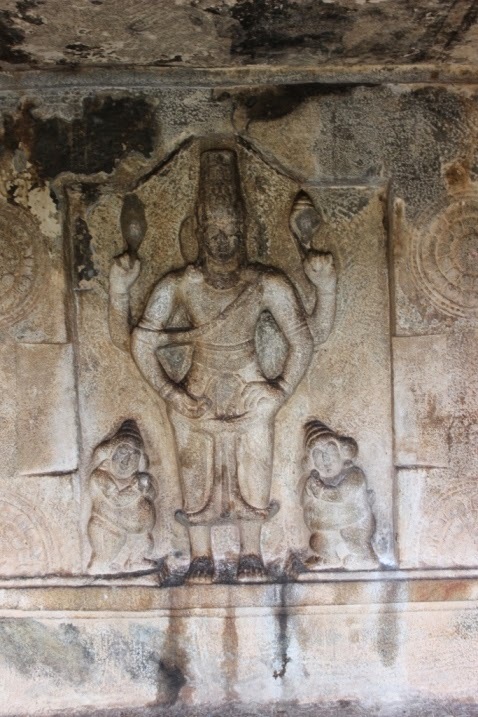 These ancient Cave temples are now under the protection of Archaeological Survey of India. There are two rock cut cave temples which are excavated by Pandyan Kings in 750 AD. Among the two caves one is finished and other is unfinished. The finished one is more significant with rectangular ardha-mandapa with a flight of steps and cells on the western walls. It contains bas-relief sculptures and two inscriptions from Pandyan period. 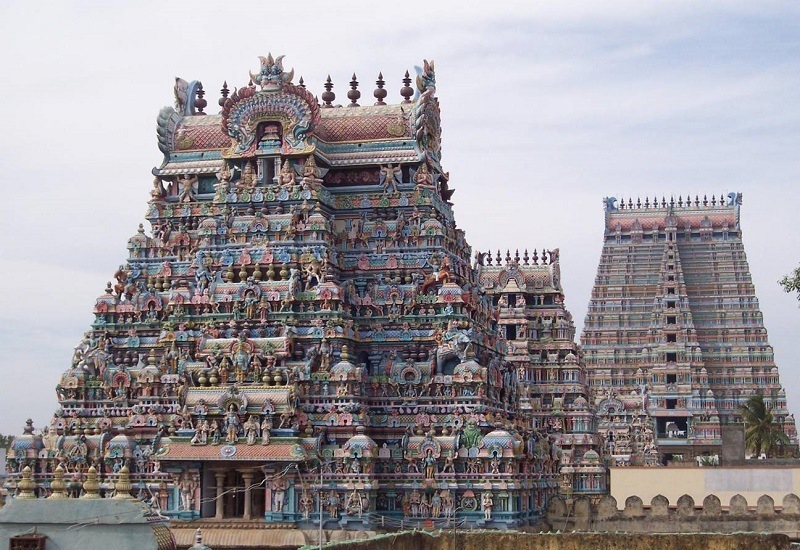 At a distance of 1 km from Srirangam Railway Station, 9 km from Trichy Railway Junction, 62 km from Thanjavur, 145 km from Madurai & 327 km from Chennai, Srirangam is well known for Sri Ranganathaswamy Temple which is the foremost of the eight self-manifested shrines of Lord Vishnu. The temple is also considered the first among 108 prominent Vishnu temples. 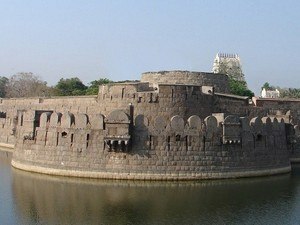 At a distance of 2 km from Gingee Bus Stand, 71 km from Puducherry, 85 km from Kanchipuram and 93 km from Vellore, Gingee Fort or Senji Fort in Villupuram District is one of the largest surviving forts in Tamil Nadu. The fort was historically considered most impregnable and it was called the ‘Troy of the East’ by the British. The fort is one of the prominent tourist places to visit near Villupuram & Chennai also among the best weekend getaways from Chennai & Pondicherry for a day trip. Originally the site had a small fort built by the Chola dynasty during 9th century. Gingee Fort, also known as Chinji or Jinji, was modified by Kurumbar while fighting the Cholas and again by the…..
At a distance of 650 m from Virinjipuram Bus Stop and 13 km from Vellore Town Railway Station, Sri Margabandeswarar Temple is a 13th century temple situated on Bangalore – Chennai National Highway. The temple has rich sculptures and artistic pillars. The temple was built by Cholas Kings in 13th Century while Bomma Nayakars, who built Vellore Jalagandeswarar temple, made several extensions to the temple including beautiful kalyana mandapa. The main deity of this temple is Swayambu Lingam known as Margabandeeswarar. The Siva Lingam is slightly leaning to North East direction. The Goddess of the temple is Maragadambal. Other deities seen in the temple are Ganapathy, Subramanya, Chandra…..